With the changes that are happening to labor laws all around the country, it’s important for contractors to stay out of trouble and aware of the law. Between chasing down new projects, placing bids, and managing sites, it’s hard for any contractor to know everything. A contract lawyer is a vital element of any contractor’s toolkit for saving on headaches. Here are five times to reach out to a contract lawyer. When you’re putting together any kind of contract for working with other people, you’re going to want to get a contract lawyer to look over things. Hiring people is easy, but ensuring everyone feels good about the employment situation is much harder. You need to make sure that everyone feels fairly compensated, first and foremost. You also need to ensure that it’s clear what the role of your employee is and what you expect of them. Employees may only do as much or as little as they’re instructed to, so don’t draw up a contract expecting them to do more than is planned. You can expand the contract but you’ll need to leave that door open with your contract. A contract lawyer can ensure that you’re able to provide your client with the end result they’re looking for. As a contractor, you rely on the people who you hire to make your client happy. Make sure you’ve got all the tools to make the most out of your employees written into your contract. If you’re a contractor looking to team up with another contractor on a project, you’ll need a contract to ensure that you’re each paying your fair share. If you’re aiming at sharing profits on the project later on, you’ll want the profits to match the proportion that you invested. A contract lawyer can help ensure that everything seems fair. Teaming up with another contractor or corporation is a necessary part of creating any project. If you handle all of the architectural installations, you’ll need an architectural firm, and even someone to provide the port-a-johns for you. You want to manage your relationship to avoid any kind of abuse or fraud. 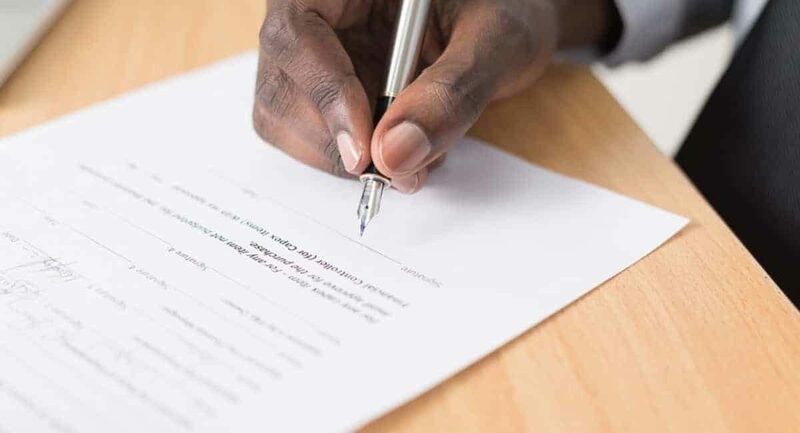 There’s no end to the number of people it may require to build a project but if you’ve put together a contract template that works, you could reuse it. Each time that you pair up with a new company, change the important details and send it out knowing that you’ll be protected. Government contracts are a sort of golden calf in the world of contracting but they also come with their share of headaches. Every government project requires a long process of application process and bidding. You’ll need to hammer out every detail of every dollar you plan to spend far in advance. The major problem that happens to a lot of contractors is that they paint themselves into a corner. They make it too hard to make any money from the contract because margins are too tight or the length of the contract is too long. You need to write in some flexibility so that you don’t go broke if something gets snagged along the way. Get a lawyer to help you with your contract so you’re not stressed about how to get a home loan later on. A contract lawyer ensures that you not only adhere to the needs of the government but also labor laws and regulations. It’s important to be above the law now rather than to pay the fines and fees that could come later. When you work with any corporation larger than your own, you’re taking a risk. While it’s important to hitch your wagon to a larger project to ensure you get to work on larger projects later, they can “out-lawyer” you any day. Your best bet to protect yourself is to have a lawyer look at your contract before it gets sent out. A contract lawyer knows the ways that larger companies are going to try to pass off the blame to you. They could leave you holding the bag instead of helping to lift you up when it comes time to settle up at the end of a project. Larger companies with more resources can give you the opportunity to work on exciting projects you wouldn’t get to otherwise. However, if you don’t protect yourself, you could end up losing more than you gain. One of the worst things for any contractor to face is a labor dispute. This builds a bad reputation for your company and bad faith with your community. It also creates a stoppage in work that could sideline your project for a while. If you want to get ahead of any labor issues, you need to hire a contract lawyer. Your contract layer is going to be able to ensure that you don’t end up trapped under a mountain of lawsuits or to be in the middle of a union strike. Once one strike begins, it could set off a chain that makes it hard for your project to go anywhere. Labor disputes can be prevented with well-written contracts. Contract lawyers can save the day when it comes to staying in the good graces of all of the labor organizations in your region. Managing a bid, keeping order at your sites, and working on new projects are all essential elements of being a contractor. Managing the details of your contract is a headache you don’t need. Hiring a contract lawyer can help you spare the stress. If someone is fatally injured on your site, check out our guide to learn what to expect. What Is a Chatbot and How Can Law Firms Use It?